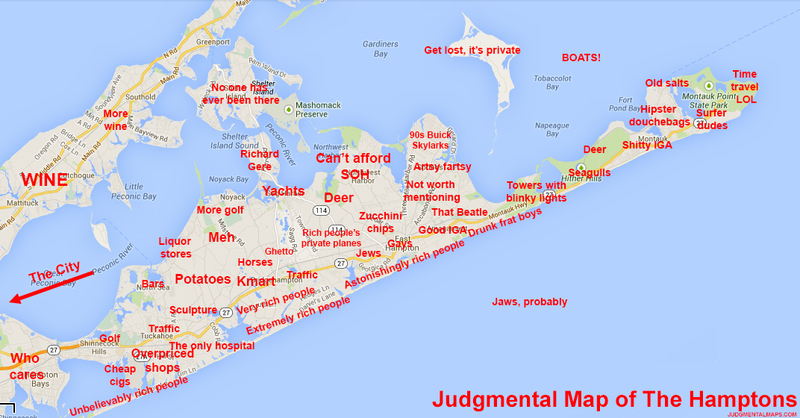 Oh dear, looks like I’m in danger of becoming addicted to Judgmental Maps. Las Vegas is great fun too. As is London. This entry was posted in Comedy, Uncategorized and tagged Hamptons, Las Vegas, London, Richard Gere. Bookmark the permalink.